How To Get Free Medical Marijuana? What The Hell Happened?? Hey, wait a minute! Wasn’t one of the intended benefits of legalizing medical marijuana that independent growers would supply dispensaries who in turn would provide patients consistent, quality medication… and wasn’t the driving force compassion for those suffering and in pain? Currently, it has proven to work to the degree that Federal and City pressures allow it to. But what about the economically challenged who need medication? Virtually all of the discussions I remember having prior to medical legalization in my State included agreement that growers would willingly provide a portion of their crop to those in need. Growers were supposed to play an integral and highly responsible role in a free market business model ensuring that all Americans could get free medical marijuana if they qualified. The elephant in the room is the fact that many who seek the benefits of medical cannabis are the same people who cannot afford the prohibition level prices that growers and dispensaries continue to charge. They can’t afford it at half the price. Generally speaking, dispensary (and delivery) weed generally remains at the same black market, Drug War price levels in most areas of the U.S regardless of the fact that it has been legalized in that State. That’s a separate problem that needs to be addressed, but my point here is that financially strapped patients continue to go without medication, and the ‘conversation’ about legalizing weed has moved on. Just when I was getting real cynical about all this, I learned of a rare individual with a burning desire and driving commitment to provide free medical cannabis to patients who arguably need it most. Someone who does care. His name is Martin Modiano, or “Marty” as he prefers to be called. After contracting AIDS about 16 years ago and using cannabis to arm him in his own fight, he recognized this problem first-hand. His familiarity of the SoCal scene, personal experience and inheritance from his father was enough for Marty to design and implement a free medical marijuana business plan where initially one of his connections with a successful grower friend was leveraged. After learning about Marty Modiano and his wonderful non-profit called Patient Med-Aid in Anaheim, CA, it really began to hit me… It will take a different kind of medical marijuana patient network. The significance of the challenge facing him and his patients there is that he “sells” no cannabis whatsoever! It’s all free to his enrollees. How does he do it? … To Poor & Homeless Patients In Need? This is the question that Marty has committed himself to answering – and his story needs to be told over and over until everyone’s focus returns to the patient – especially the patients who can’t afford their medication. Physicians have prescribed conventional medications to Patient Med-Aid enrollees that have severe, dangerous… and even deadly consequences. Considering the side effects of most of these medications, restricting or often eliminating free medical cannabis products for these patients is tragic and inhumane. Marty and his supporters, patients, donors, growers, volunteers, all agree that this emerging cannabis industry is using medical patients as poster children at their expense while the Federal government continues to fund grants for research scientists to prove the health hazards of marijuana use. At the same time ‘discouraging’ (firing) American researchers and educators who try to publish their discoveries of value and benefit. Since the monetization potential has seemingly no horizon, and who are the real beneficiaries to be? Marty feels that it is essential that the industry stays true to the “patient” and not the “consumer”. This seemingly simple distinction could go a long way toward ensuring that economically strapped patients get free medication. It’s become apparent that growers need to be sufficiently incentivized to appreciate the role they play in the solution to get free medical marijuana. Let’s face it, we are talking about a small percentage of the grower’s total crop. And dispensaries obviously remain the front line of communication and solution for compassionate delivery of free medical cannabis until the medical community at large makes whatever Faustian pact it needs with the Federal government to justify their own evolutionary pain. Meanwhile, Patient Med-Aid’s volunteers and other similar efforts remain insufficient to meet the needs of all that truly qualify. Doesn’t even sound American, does it? Please let our visitors know what you think. Don’t leave without leaving a comment below! I have lived with Fibromyalgia since 2006, I worked for 8 years before finally saying I can’t do this anymore, if it was just the pain, it would be different. Periodically I am plagued with total exhaustion, fibro fog, IBS, I cannot stand for longer than about 15 minutes, I have balance issues, there are days (and nights) that I just don’t get out of bed, or I will sleep for hours and then I can’t go to sleep, insomnia is one of my closest “whatever”. I am so tired of seeing all these “we can fix it ads” that are really just placebos for the gullible. I live in a state where it is illegal, but know that CBD is legal in all fifty state…so how do you know when you are getting quality medication? So Sorry to hear about your complications Karen. I wish I could o more than offer up what I do. I developed and work on this platform in order to encourage and provide quality information on many subjects surrounding Cannabis. But more specifically, I have focused on CBD (cannabidiol) and the endocannabinoid system’s role in neuropathy, pain relief, and healing. Ultimately, you need to receive recommendations from someone who is knowledgeable and who works with patients regularly. I encourage you to keep reading on the subject of CBD and your endocannabinoid system. Generally speaking, myself and my members already understand what doesn’t work. 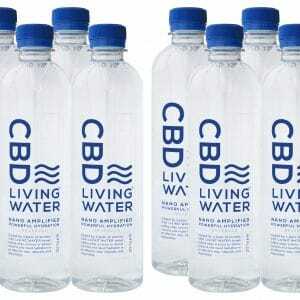 We use the products from CBD Living because I’ve developed a personal relationship with the owner and managers at CBD Living. I’ve used and written reviews on most all of them except their new CBD Living Vape Pen. They are the leaders in nano CBD product development and that’s the technology that’s making all the difference in the quality of the medication. Truth is, you’ll never know until your try your first bottle of CBD Living Water, or vape their Shatter or new CBD Oil Vaporizer Pen. These deliver fast results that you will notice the very first time. Feel free to call me if you like Karen. Hope this helps.